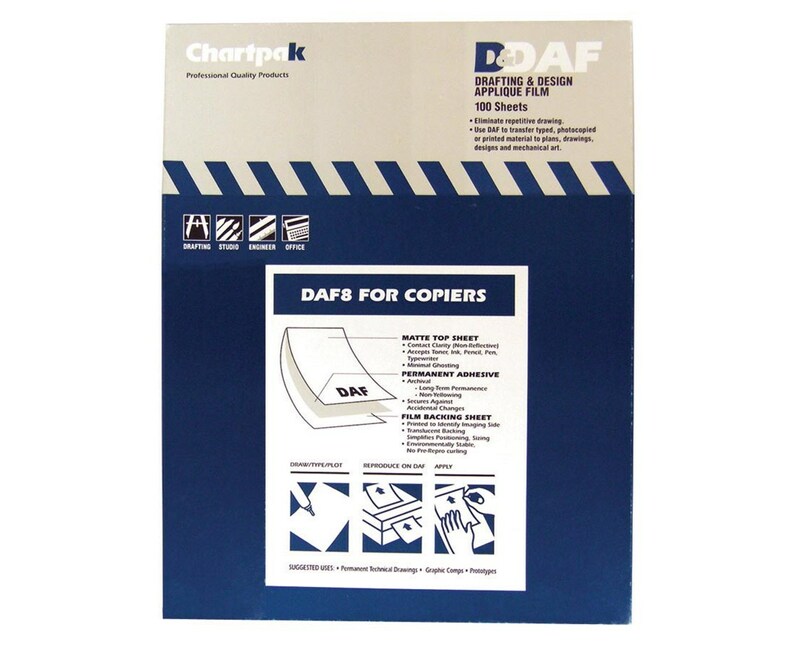 The Chartpak Drafting & Design Applique Film is a multi-functional film for different applications. It can be used for drawing, plotting, and typing. It is suitable for pencil, pen, ink, toner, and even typewriter. It is also ideal to reproduce on its non-reflective transparent surface that allows very minimal ghosting to ensure accurate reproductions. 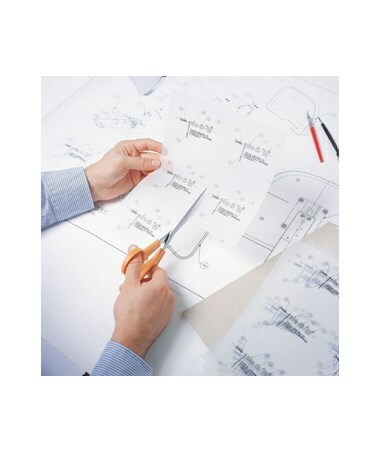 It copies well in Diazo process and lays flat on laser printers and copy machines to prevent pre-reproduction curling. 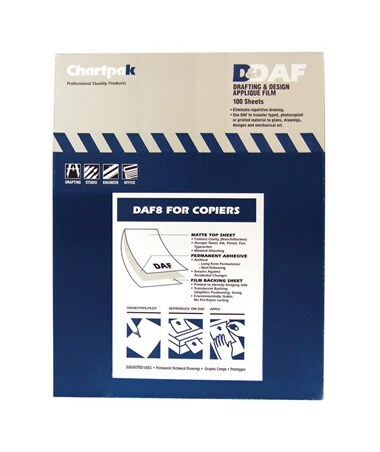 The Chartpak Drafting & Design Applique Film is easy to apply with self-adhesive that is permanent and archival-quality. 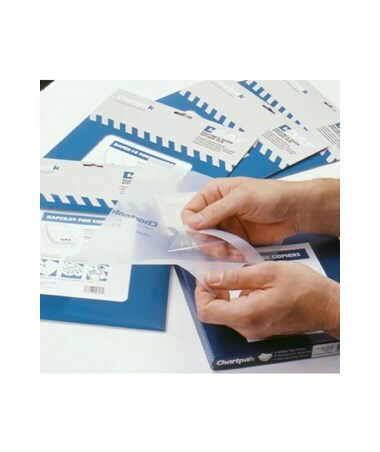 Its transparent backing allows quick and precise positioning and sizing. Each pack contains 100 sheets of 8½"W x 11"L matte Mylar film to accommodate its many uses including graphic comps, prototypes, vellum drawings, and more.